The Melodi Grand Prix is the Danish pre selection where 9 hopeful candidates for Baku have been presented in the wonderful city of Ålborg. The production showed a very high level of professionalism and enthusiasm by DR – the Danish Television channel. The success from recent years has lead to a huge interest in the Danish public. All of the 9 songs could have done well in Baku so it has been a tough competition this year. 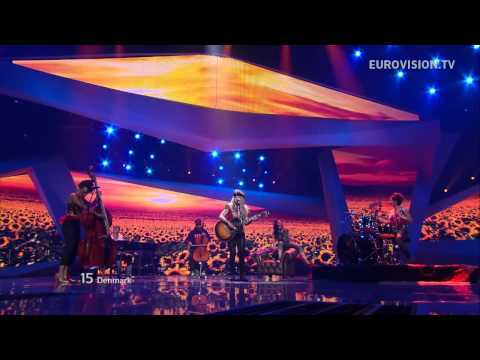 At the end Soluna Samay - a street musician - could convince the televoters with the song “Should’ve known better”. The international juries favorized Jesper Nohrsted with “Take our hearts” which a strong similarity to “New Tomorrow”. The style of Soluna’s song reminds of Alison Morisette, with a very international attitude. It does not sound like former Danish entries, very contemporary and radio-friendly. Since 1957 Denmark participates in the Eurovision Song Contest. The first entry “Skibet Skal Sejle I Nat” by Birthe Wilke and Gustav Winckler reached a third place. Denmark been taking part regularly, but also took a big break of 12 years from 1966 until 1978, after that the Danes came back with new energy and more happy songs. There have been two victories in history: “Dansevise” by Grethe and Jørgen Ingmann in 1963 and “Fly on the wings of Love” by the Olsen Brothers in 2000. In former years a lot of people complained that the Scandinavian countries shove the points to each other. This is mainly due to the similar taste of music in that region. It’s the same situation in the Balkan region or Eastern Europe. Sometimes the singers are even well known in the neighbour countries this can better the result on the scoreboard at the end.